Josef Mitterer was born in 1948 in the small Tyrolean village of Westendorf, Austria, which is better known for skiing and tourism. He studied psychology, sociology and philosophy in Innsbruck, Linz, and Graz, and spent some time at the London School of Economics, Heidelberg University and the Inter-university Centre Dubrovnik. In 1976 he went to study with Paul Feyerabend at the University of California at Berkeley where he continued to develop his philosophical ideas. In 1978 he obtained a doctoral degree from the University of Graz with a dissertation he wrote with Rudolf Haller, entitled Sprache und Wirklichkeit [Language and Reality]. After his studies – and due to the reasons mentioned above – Mitterer turned to an entirely different domain, namely tourism, and worked as a professional tour guide in Europe and Asia and later as a management consultant for tour operators in the United States and Canada. He condensed his experiences in the travel world into the essay Der König von Frankreich lebt oder die Wirklichkeit auf Reisen [The King of France is Alive or the Reality of Travel], which was republished as The Reality of Travel. Since 1990, Mitterer has been teaching philosophy at the University of Klagenfurt in southern Austria. In 1988 Mitterer published the article Abschied von der Wahrheit [Farewell to Truth] in the German philosophical journal DELFIN, which was mainly a platform for constructivist thinking at that time. This publication brought Mitterer into contact with Ernst von Glasersfeld and slowly introduced non-dualistic philosophy to constructivists. Mitterer’s main thesis in the paper was the idea that descriptions in debate do not fail when confronted with objects, but rather fail against new descriptions. Constructivists felt addressed. But Mitterer irritated them when he included in his 1992 book a sharp criticism of the neurobiological foundations of constructivism, especially of Humberto Maturana, Francisco Varela and Gerhard Roth. 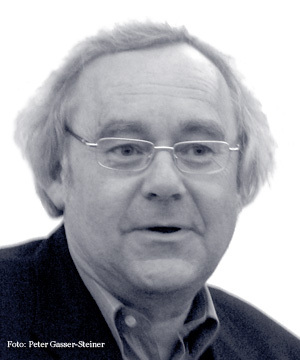 Since then, the scientific community has seemed to be uncertain as to whether Mitterer should be labelled a constructivist or a critic of constructivism. From: Alexander Riegler & Stefan Weber (2008) Non-dualizing from Now On? Constructivist Foundations 3(3): 120-122. Alexander Riegler & Stefan Weber (2013) Non-dualism: A New Understanding of Language. Constructivist Foundations 8(2): 139-142. Stefan Weber (2008) The Object of Description is the Description of the Object So Far: Non-dualism and Beyond. Constructivist Foundations 3(3): 140-147. Angriff aus der Nische. Ein Klagenfurter Philosoph empfiehlt seinen Kollegen eine Radikalkur: Er schlägt vor, die Wahrheit abzuschaffen. Der Spiegel, 11/1993, pp. 200b–204a. Review in Aufklärung und Kritik, 1/1994 by Helmut Hille. Flucht im Kreisverkehr by Walter Grasnick. Frankfurter Allgemeine Zeitung, 05.11.2001, Nr. 257, p. 53. Nichts als die Wahrheit, by Franz Schuh. Die Zeit, 07/2001, p. 50. Sind philosophische Duelle immer nur Scheingefechte? Zwei neue Bücher irritieren sowohl Realisten als auch Konstruktivisten. Telepolis, 2001. With this special issue of the journal Constructivist Foundations, the potential of Mitterer's philosophy is further explored. It contains articles written by Marzenna Cyzman, Michael Dellwing, Patricia Ene, Alan Gross, Thomas Himmelfreundpointner, Olaf Hoffjann, Peter Kügler, Achim Landwehr, Josef Mitterer, Katharina Neges, Carsten Ochs, Franz Ofner, Alexander Riegler, Bernhard H. Vollmar, Stefan Weber, and Martin Weiß. Created and maintained by Alexander Riegler and Stefan Weber.